Originally settled as an agricultural community in the 1850s, Windsor has transitioned impressively from its rural past, particularly since the town’s incorporation in 1992. The community’s commitment to smart growth and sustainable development practices is most evident in the creation over the past decade of an authentic Downtown, with walkable streets and a mix of commercial and residential uses. The Downtown core is centered on a four-acre Town Green, which is surrounded by three-story mixed-use buildings to the south and west. Town Green special events, including live music and a farmers’ market, draw people from afar. The Station Area/Downtown Specific Plan seeks to establish a cohesive transit-oriented community with links to the town and the region. 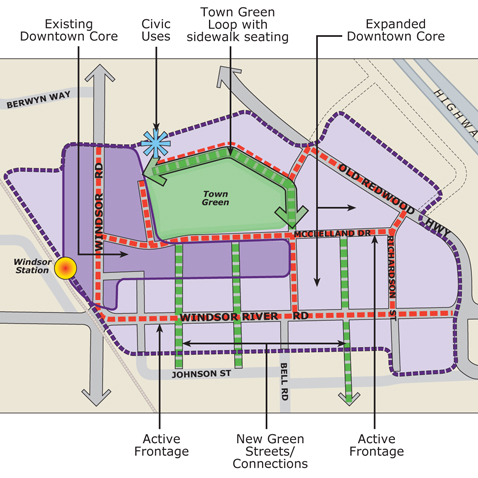 It sets forth the framework for the next era of Downtown’s development with an expanded core—re-orienting it around the Town Green with a “Town Green Loop” strategy—with a broader array of uses and amenities, which will serve as a regional draw. A greatly increased population of residents and workers will enjoy walking access to stores and restaurants, transit, and a redeveloped Civic Center. 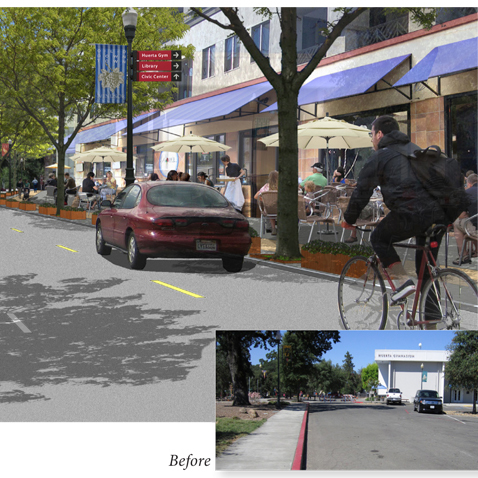 An enhanced public realm with more parks and open spaces, streetscape improvements, outdoor dining, and community gathering opportunities will enhance livability. Dyett & Bhatia led community outreach, including stakeholder and community meetings and a community-wide survey; visioning and issue identification; alternatives analysis; and preparation of the Station Area Plan and Environmental Impact Report. 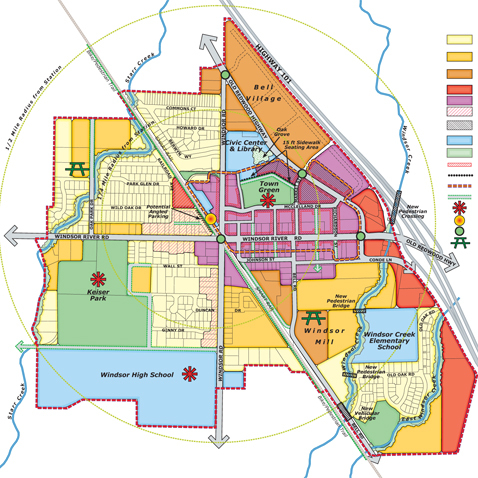 The Plan includes guiding principles that provide an overall vision for the area, goals and policies for each topic, as well development standards/zoning regulations and design guidelines for development. It also includes an implementation program, with timelines and responsibilities.